Colette Miller created the Global Angel Wings Project in 2012, in the streets of Los Angeles, the City of Angels. They were painted to remind humanity that we are the angels of this Earth. 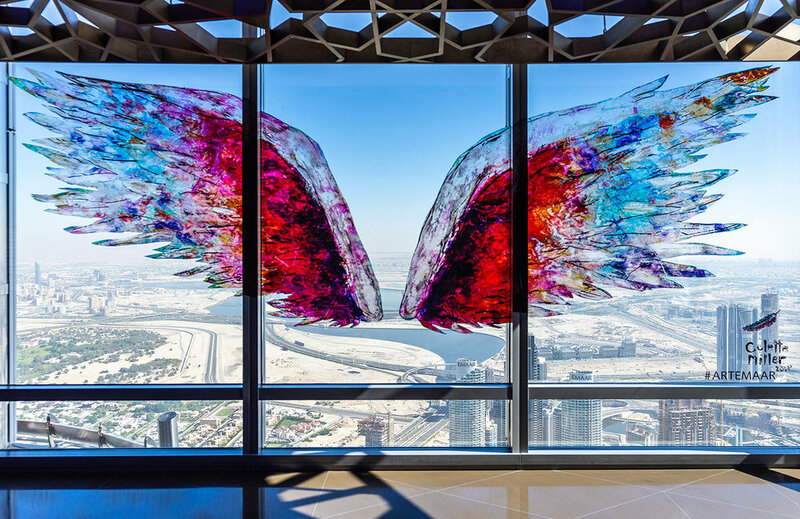 Colette has painted these wings in Kenya, Australia, England, Japan, Europe, Cuba, Mexico, China and the United States before coming to Dubai. Colette Miller is an American artist and performer, based in Los Angeles since 1999. Colette is known for her “Global Angel Wings Project” which aims to lift the spirits of people on the streets through art.